Something happened on that memorial Pentecost of A.D. 30 that separates religion from gospel. After the Holy Spirit had connected all the dots in the minds of the apostles through the baptism of the Holy Spirit, they were ready for the world (At 2:1-4). Even after Jesus had graduated them from His final “school of prophecy,” the Spirit had to connect the eternal incarnation of the Son, to the eternal offering, resurrection, ascension, and reign of the Son of God to the right hand of God. It was then that they were ready to stand up and go to work before the multitudes (At 2:14). It may have been about midday when Peter finally stood up with the eleven and unpacked the gospel with only a few words. He first revealed that all the rushing “wind storm” that had transpired at the beginning of the day was actually prophesied (At 2:14-21). And then he got down to gospel business in the reign of Jesus who was now both Lord and Christ. Jesus of Nazareth was miraculously proved to be the One sent from God. He was miraculously validated to be the Christ of Israel. However, the confirming miracles that validated His Messiahship were not the gospel (At 2:22; Jn 3:2). Neither was the gospel the coming of the Holy Spirit upon the apostles at the beginning of the day, for it was the mission of the Spirit to glorify the Son, not Himself (Jn 16:14). Those who exalt miracles and the Holy Spirit invariably minimize the power of the gospel. Their obsession with miracles and the Spirit diverts their attention away from the power of the incarnational gospel of the Lord Jesus Christ. Instead of exhaling and focusing on the resurrectional ascension and reign of the incarnate Son of God, many obsess over those beliefs or ministries that are important, but not primary. Instead of focusing on the power of the gospel, they are searching for some power in the Holy Spirit to somehow confirm their own faith. We must never forget that the power to both save and transform lives is in the gospel of our Lord Jesus Christ. It takes no diploma in theology to know enough about the work of the Holy Spirit to conclude that in His work in our lives, He would never seek to displace or minimize the transforming power of the gospel of the Son of God. If He did, then He would fail in His work to glorify Jesus (Jn 16:14). Gospel-living Christians must always keep in mind that the Holy Spirit will do His work regardless of our understanding thereof. Though we may not understand all of the Spirit’s ministry for the saints, one thing is definitely clear: The Holy Spirit would never do anything to divert our attention away from the gospel of the Lord Jesus Christ. If we would claim that the Spirit must insert in our lives more power than the gospel, then we have asserted that the power of the gospel to transform lives is limited. It was never Jesus’ intention to send the Spirit in order to subsidize the power of the life-transforming gospel. The personal ministries that later came into the organic function of the church was not the message of the apostles on Pentecost. Later discussions in the epistles that emphasized corrections in dysfunctional behavior between the disciples was not the message. When churches become sectarian, and thus competitive for members, they often use their uniqueness as a message to “convert” others to their particular sect. But the uniqueness that later characterized many autonomous groups of Christianity was not the message of Peter and the apostles. That which cuts religious people of faith to the heart was the message of the gospel of King Jesus. This was the apostles’ message to the Pentecost audience. We cannot overemphasize this point for many have used the epistles to construct a systematic theology that has become their identity, and subsequently, their evangelistic message. Their supposed doctrinal purity is used to approach other religious people in order to convert them to one’s own particular sect. A theological message has thus replaced gospel preaching. The crucifixion of God’s gospel Messenger in the flesh was not a subpoint of the apostles’ message. 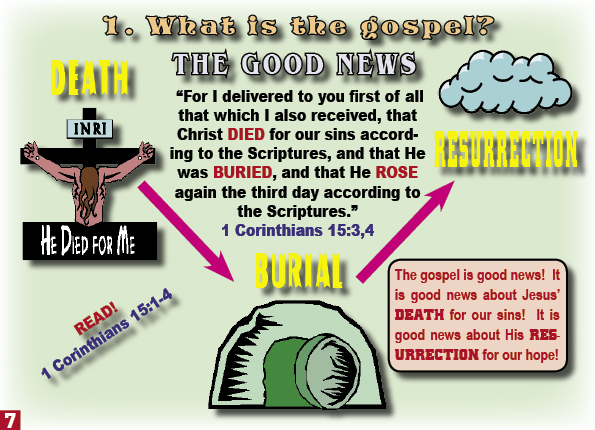 Because the cross was in the eternal plan of God, it was the core of the gospel message (At 2:23). “But God raised Him up,” was the confirming proof that Jesus Christ was the One about whom the prophets had spoken. And not only the resurrection, but there was an ascension to the throne of David in fulfillment of promises to David that One would reign upon his throne of authority (At 2:25-32). And then Peter revealed more: “This Jesus God has raised up, … being exalted at the right hand of God” (At 2:32,33). “Therefore, let all the house of Israel know assuredly that God has made this same Jesus whom you have crucified, both Lord and Christ” (At 2:36). We must keep in mind the spiritual situation of those who heard this first announcement of the gospel. These were the “elite” of the representatives of the Jews’ religion. They knew their Old Testaments better than most people today. But when Peter was making these statements about the Man whom God had miraculously proved to be the One who fulfilled over three hundred Old Testament prophecies concerning the Messiah/Christ of Israel, they were overwhelmed. They were stunned. Isaiah 53, Psalm 22, and a host of other prophecies concerning the Suffering Servant of Isaiah became reality. They did not need to return to their synagogues after Pentecost in order that a Rabbi read again to them the picture that God had painted for Israel throughout 1,400 years of history. They could quote all the prophecies by memory, for they were all as the two men on the road to Emmaus. The One that God said He would send was beyond the misguided hope of a restoration of national Israel. He was the One who “was wounded for our transgressions. He was bruised for our iniquities. The chastisement of our peace was upon Him. And with His stripes we are healed” (Is 53:5). The Jews’ murderous tragedy was turned to grief because they realize that they had become servants of Satan to lay the stripes on the back of the Suffering Servant by delivering Him over to the Romans for crucifixion. There were certainly tears of grief as they mourned over their participation of laying the stripes on the One who was sent to restore them again to an eternal fellowship with the God they had worshiped since before the days of Abraham. “Now when they heard this, they were cut to the heart” (At 2:37). This is the emotional impact that the gospel should have on every sincere heart. If it does not, then one either does not understand the gospel, or he understands, but with a hardened heart, walks away. In walking away he has judged himself unfit for eternal dwelling in the presence of the loving God who gave His Son for them. He does not, therefore, know God. The Holy Spirit knew that there would eventually come the skepticism of the Gnostics the latter part of the first century, which theology would be formalized gnosticism in the second century. Since God is light, and in Him is no darkness at all, the Gnostics erroneously assumed that the revelation of God through Jesus Christ meant that Jesus Christ was only a phantom. There could be no such thing as an incarnation because God could have no contact with evil flesh. Those who would teach such would be of those about whom John later wrote: “For many deceivers have gone out into the world who do not confess that Jesus Christ is coming in the flesh” (2 Jn 7). They would not confess that Jesus Christ is now what He was after the incarnational resurrection. Jesus’ final coming in the flesh of man is foundational in defining the gospel. There could have been no cross if He had not first come in the flesh. The Gnostics, therefore, denied the gospel by denying the eternal incarnational sacrifice of the Son of God. The Gnostic’s denial encourages us to reaffirm the prerequisite for the truth of the gospel. There could have been no gospel if there were truly no incarnation, which incarnation was in some way eternal, for He is coming in the flesh, into which flesh we will become like He now is (1 Jn 3:2). An unending incarnational existence: Now we have come to a necessity that explains the superlative, “God so love the world” (Jn 3:16). The gospel revelation began on earth with an unending incarnational birth in Bethlehem that will extend to the final coming of Jesus in the flesh of a glorious body. The incarnation would continue even into eternity wherein Jesus will dwell among His brethren in the presence of God. The gospel necessitates the incarnation of the One who was originally in eternity in the form of God (Jn 1:1,2,14). If Jesus were only a man, then there is no such thing as the gospel. If there were no incarnation, then there would have been no offering. His sacrificial offering demanded His incarnation in the flesh of man. So, the Gnostics were wrong. 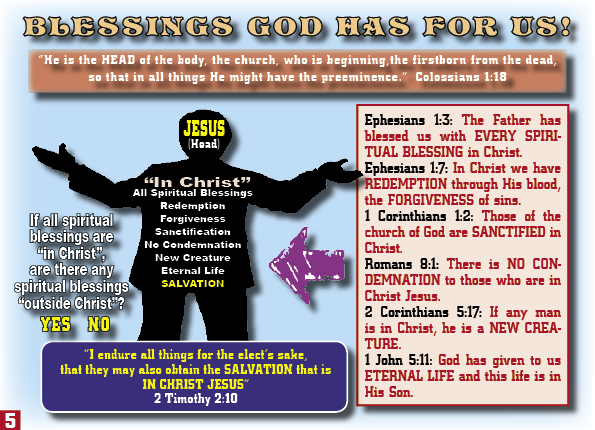 Eternal (sufficient) atoning sacrifice: Since it was not logical or possible that created animals could possibly atone for sins against the eternal God (Hb 10:1-4), then there had to be a volunteer from God to repair the damage our sin created in our fellowship with God. That which was in the form of God, the Son, had to make the eternal gospel journey from the presence of God to the our presence on earth, and eventually to a sacrificial cross (See Ph 2:5-8). There was no other way. We must conclude that the incarnation of the Son of God moves our understanding of the gospel beyond the cross alone. The fact that God the Son gave up being in the form of God in the spirit assumes the suffering that all of us in the flesh confront throughout our own lives. His suffering in the flesh began in a manger in Bethlehem and extended to the first driven nails through His flesh on the cross. When we speak of the incarnation, therefore, we understand that the sacrifice was more than the cross. This explains what John meant when he identified the deceiver as the one who denied the incarnation. We thus understand that the gospel sacrifice of the incarnation went far beyond His few hours on the cross. Comprehending the incarnational journey of the Son of God from the form of God in the spirit to the flesh of man is most difficult to comprehend (Ph 2:5-11). In fact, from a human perspective it is incomprehensible, for we are not God. But the more we understand our sin, and our inability to live without sin, the more we begin to catch a small glimmer of hope in understanding the awesome love of God. Understanding that the eternal God who existed in spirit would contemplate venturing out of eternal, spirit dwelling into our sin infested world is stunning. It is overwhelming. It is humbling. It knocks all pretentiousness out of our souls. It moves our hearts to the declarative question, “Wretched man that I am! Who will deliver me from the body of this death?” (Rm 7:24). In the preceding question, it was as if Paul—the self-confessed chief of sinners—could now understand the revelation of the Spirit that poured forth from the tip of his fingers on a quill while he scribbled the inspired words of the Romans manuscript. We assume that his hands were quivering in thanksgiving as he inscribed these thoughts. A tear may have smudged the ink as he followed with an outburst of gratitude: “I thank God through Jesus Christ our Lord” (Rm 7:25). The heart that is not emotionally overwhelmed by the eternal incarnational coming of the Son of God into the flesh of man is certainly a heart that is beyond submission. It is a heart that has disqualified itself from dwelling in the eternal presence of the God of sacrificial love. It is a heart that does not know God. The resurrectional ascension and reign: The resurrection of Jesus was necessary to validate the purpose of the cross. The cross would have no power if there were no hope of eternal living for all those who would fall prostrate before the incarnational offering of the Son of God. The resurrection proved Jesus to be the Son of God (Rm 1:4,5). It also proved that those who obey the gospel will have life eternal as a result of their obedience to the gospel for the remission of sins (At 2:38). The ascension was necessary in order to prove that the supposed resuscitated Jesus did not wander off into obscurity and die, as some Gnostics of the second century claimed. Reigning at the right hand of God, precluded ascension, and ascension precluded true resurrection from the dead. All of this is good news. It is gospel. The cross alone would be meaningless if it were not for the resurrection. The resurrection could be questioned without the ascension. And the ascension would be meaningless without somewhere for Jesus to be in reference to our existence in the midst of Satan here on earth. 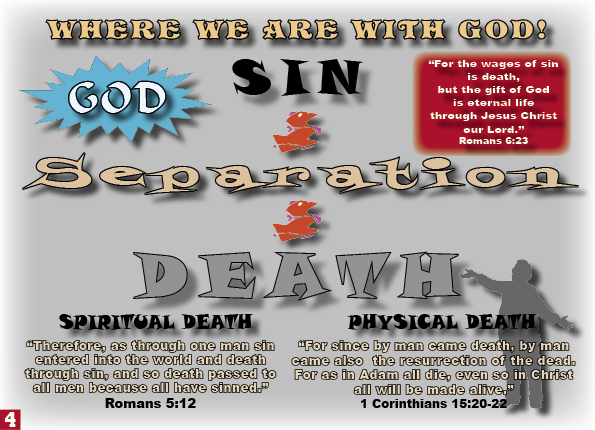 This is all gospel, for the sacrifice of the incarnate Son of God solved our reconciliation with God for eternity. His resurrection solved our fatalism in believing that this world is all there is. The ascension solved our wonder as to where He went. And His reign solves our anxiety problem that no matter what transpires in this life, Jesus is still King of kings and Lord of lords with authority over all things (Mt 28:18; 1 Tm 6:15). This is great news! This is gospel! If a Christian forsakes, or distorts in any way any part of the gospel, then he has delivered a death blow to the very heart of the existence of Christianity. If he remains religious in his attack, then he has turned away from being Christian to being a self-sanctifying religionists. If any part of the gospel message is either questioned, or denied, or disobeyed, then one leaves or distorts the very purpose for which the Son of God came into the world to reveal the gospel—to seek and to save the lost (Lk 19:10). If such attacks are made against the heart of the gospel, then one will lose his way as a disciple of the Son of God. In fact, he will simply cease being a disciple of the One who revealed the gospel to the world. The Holy Spirit knew that such an apostasy would happen among some Christians in various areas of the world throughout history. He thus prepared some specific recorded cases in the New Testament where there were attacks made against the heart of the gospel. He recorded why and how some would lose their way, and thus cease to be witnesses in their communities that Jesus was the Christ and Son of the living God (See Mt 16:16-18). While the apostles were still alive, there were some Christians who cut away part of the core of the gospel message. They were “saying that the resurrection is already past” (2 Tm 2:18). And by promoting this teaching, “they overthrow the faith of some” (2 Tm 2:18). The denial of the resurrection was one reason why Paul was on his way to Corinth. He was headed to Corinth in order to cut out of the fellowship of the church of God those who became arrogant and who attacked the gospel by denying the resurrection (See 2 Co 1:23; 10:1-18; 13:2,10). There were those among the Corinthians who believed that the dead would not be resurrected. But if this were true, then why, Paul argues, would we ever be baptized in order to put to bury the old dead man of sin (1 Co 15:29)? Why would one be baptized to bury the old man of sin, if we in the future will not be raised to join Christ in eternal life (See Rm 6:3-6). “For I delivered to you first of all that which I also received, that Christ died for our sins according to the Scriptures, and that He was buried, and that He rose again on the third day according to the Scriptures” (1 Co 15:3,4). In obedience to the gospel, we connect with the atoning blood of Jesus when we are crucified with Him in repentance before being buried with Him in the waters of baptism (Rm 6:4). We are subsequently raised with Him in order to walk in newness of life (Rm 6:4). Therefore, “if we have been united together in the likeness of His [Christ’s] death [in baptism], we will also be in the likeness of His resurrection” when He comes again (Rm 6:5). We connect with the future resurrection when Jesus comes again when we are raised with Christ from the waters of baptism. If one denies the resurrection in the end, then he has denied the reason we are buried and raised with Christ in the present. If one denies this part in our obedience to the gospel, then he has denied the totality of the gospel! Why would the Son of God ever leave the comforts of eternity in heaven in order to die on an “old rugged cross” for our sins if there were no resurrection in the future? Why would one even be raised from the grave of water with Jesus if there were no such thing as a resurrection from the dead? One is a Christian because he or she has followed Jesus to the cross, and from a grave of water, to the promise of a bodily resurrection in the future by being raised with Jesus from the waters of baptism. 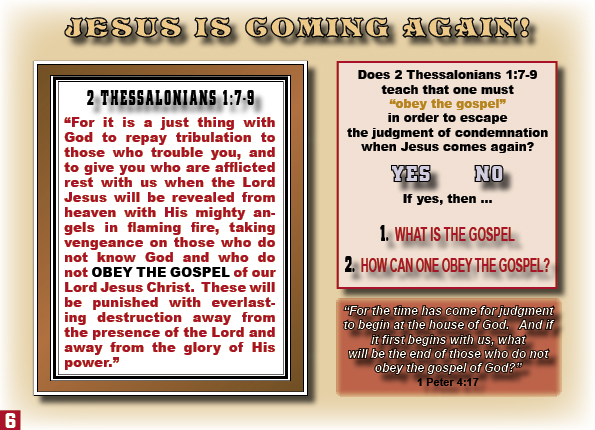 In this response to the gospel of Jesus, one has obeyed the gospel. It is for this reason that Christians are encouraged, motivated and compelled to both obey and preach the gospel to others (See 1 Pt 4:17). When we bring into doubt any part of the message of the gospel, or response to it, then we deny the reality of the gospel. We have left the motivation of our first love, and thus, our motivation to seek and save the lost! Any doubt or denial of the resurrection of both Jesus, and ourselves in the future, cuts the heart out of the gospel. Christians are believers to be pitied for their faith if there is no resurrection of the body when Jesus comes again (1 Co 15:19). If there is no resurrection coming when Jesus comes, then we lose our motivation to take the message of the gospel into all the world (See Mk 16:15,16). 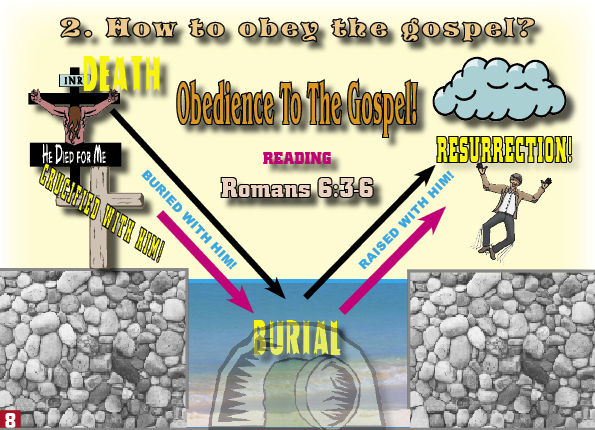 We thus preach and obey the “connection” (baptism) with the gospel of Jesus as necessary in order to enjoy the coming resurrection from the dead. We are not ashamed of the gospel of Jesus’ atoning death and bodily resurrection (Rm 1:16). Neither are we ashamed of proclaiming the mandate of the Holy Scriptures that one must connect with the gospel of Jesus through immersion into Jesus’ death, burial and resurrection. If we would be ashamed of this connection, then we would reveal to the world that we actually have little faith in the power of Jesus’ atoning death and bodily resurrection. We must never lead ourselves to believe that the power unto salvation is simply in our own belief in the gospel. Neither is our salvation in a legal action of baptism in water. The power unto salvation is the gospel of Jesus’ atoning sacrifice and resurrection. When we are responsive to the gospel by baptism into Christ, then we connect with the atoning death of Jesus in order that our sins be washed away (At 22:16). It is through this obedient connection that we are raised with Him in anticipation of the resurrection of the dead when He comes again (See Jn 5:28,29). 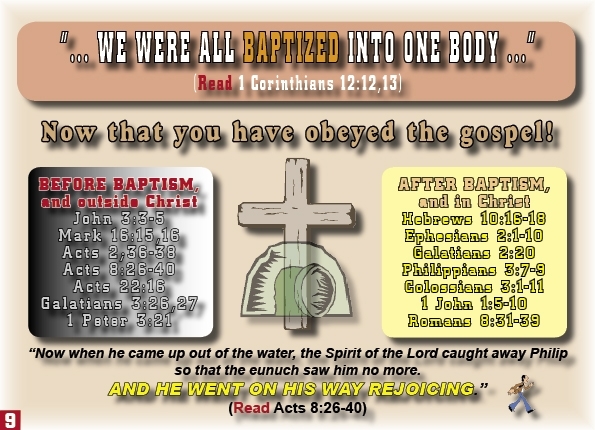 In order to connect with the power of the gospel, therefore, one must go to the cross, grave and resurrection with Jesus in baptism.